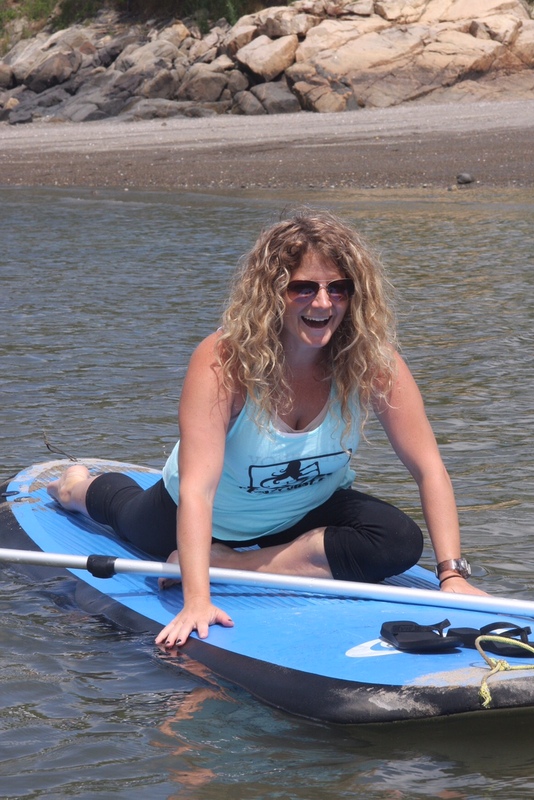 This Week The spotlight is on SUP instructor LISA FAIA! Christos and I are so blessed to have the best staff! 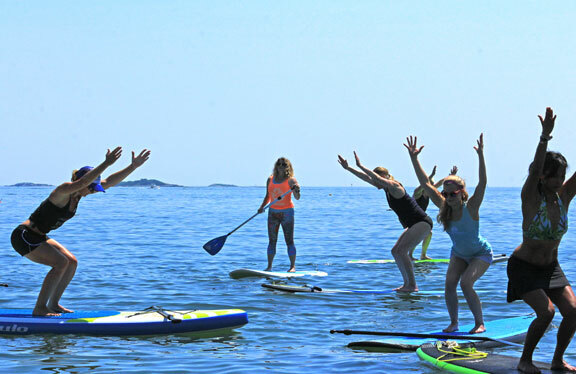 We truly are a little SUP family and we would like to take a moment this week to shine the spot light on SUP INSTRUCTOR LISA FAIA! thanks Lisa for being such an asset to our team! Lisa has been with us for three years. Lisa’s classes are always filled with the unexpected and a lots of laughter. Her passion for her practice shines bright from land to sea. Lisa considers herself to be a perpetual student of yoga who loves to share, inspire and teach all of us her passion. She completed her 200 hour certification with Yoga Spirit Studios and is most recently studying with David Magone in the PranaVayu style of Yoga. Lisa also is WSUPA certified in 2011. Her style is a playful fusion of form and flow that is both graceful and powerful. With a strong emphasis on linking breath to movement, Lisa invites her students to work towards their edge. I love watching lisa practice and teach as she is super talented. She also makes you feel exactly where your supposed to be in your own practice and there isn’t one once of competitive energy in her practice. Truly special energy, she also plays some great beats too if you catch her at one of her land classes! During the off season she is known for her Grateful Dead workshops! If you loved her on the ocean, you will love her on land! Here is where you can find her! ← In Honor of Halloween!